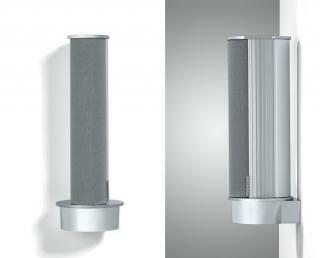 xeno mini a passive centre speaker responsible for stabilizing sound positioning in home cinema systems. By its design and size, xeno mini fits to other models of the xeno line. Like all Ceratec products, its peculiar feature is high-quality processing of chrome, aluminium and glass. Xeno mini develops acoustic qualities thanks to sophisticated Ceraplanar driver placement system. Bass and midrange 1 Ceraplanar?